Batwing Sleeve Pullover Top Only $8.59 PLUS FREE Shipping! You are here: Home / Great Deals / Amazon Deals / Batwing Sleeve Pullover Top Only $8.59 PLUS FREE Shipping! I adore this top! 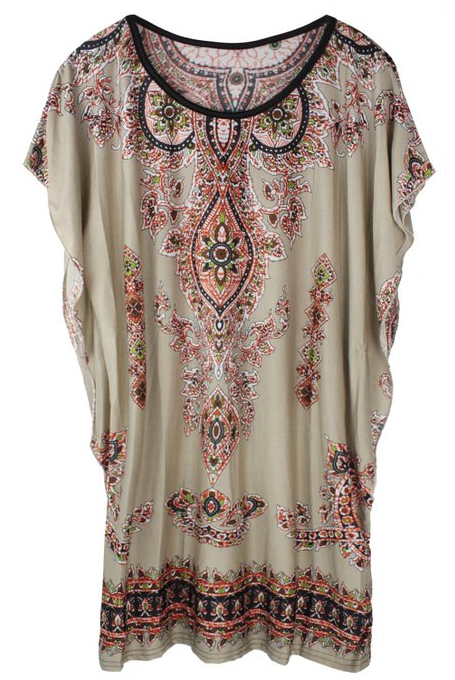 It has a cute bohemian vibe to it and would look cute with a pair of strappy sandals! The top is XL size, but it says “international”, so it may run a bit small. Get the Batwing Sleeve Pullover Top for Only $8.59 PLUS FREE Shipping!